The inaugural Women in Transportation Seminar is set for Aug. 31-Sept. 1 at The Inn at Virginia Tech and Skelton Conference Center. 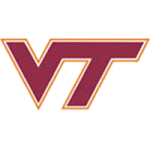 The Virginia Tech Board of Visitors approved tuition and fees for the 2016-17 academic year. 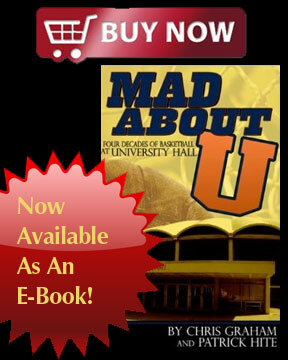 The board approved a 2.9 percent increase in tuition and mandatory fees. Virginia Tech has renamed its baseball stadium in recognition of a generous commitment of support to athletics from Union Bank & Trust. 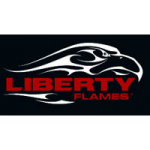 The Liberty Flames scored a season-high 22 runs and had a season-high 24 hits in a 22-7 victory over the Virginia Tech Hokies, Tuesday evening at English Field. Is your water safe to drink? A Virginia Tech research team suggests that annual water quality reports should more directly answer this question. Drivers increase their crash risk nearly tenfold when they get behind the wheel while observably angry, sad, crying, or emotionally agitated. A Microsoft research grant will allow researchers from Virginia Tech to explore the potential uses of its HoloLens devices for advancing research in the area of mixed reality. A Virginia Tech scientist has found a way to not only track viral hijackers, but also potentially stop them from replicating. Researchers within the Biocomplexity Institute of Virginia Tech have demonstrated that eggs actively silence hundreds of paternal genes that encode ribosomal RNA. Virginia Tech is helping the commonwealth’s beer industry, which has a more than $8 billion annual economic impact and contributes $2.9 billion in annual total tax contributions. In 2013, a sample from a pig in Indiana tested positive for porcine epidemic diarrhea virus, the first discovery of the virus in North America. Virginia Tech researchers have developed a soil rehabilitation method that can help fix the compacted, rock-hard soils left behind after land development. Engineers at Virginia Tech recently tested a wave energy converter inspired by the way squid propel themselves through water. With many different species of mosquitoes in the United States, Zika virus is only the latest of emerging threats, according to a Virginia Tech vector-borne disease researcher. Join AFP editor Chris Graham for live coverage as #7 Virginia (19-4, 8-3 ACC) hosts Virginia Tech (13-11, 5-6 ACC) Tuesday at 8 p.m.
Virginia Tech received a record number of undergraduate applications for admission to the Class of 2020. A new public art installation commissioned by the Center for the Arts at Virginia Tech will traverse the Moss Arts Center Grand Lobby walls. Some of the most widely used commercial chemicals to kill bedbugs are not effective because the pesky insects have built up a tolerance to them. Eighteenth-ranked Virginia (5-4) fell to No. 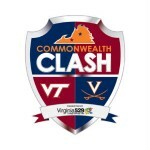 10 Virginia Tech (10-2) by a score of 31-7 on Sunday (Jan. 31) in the Commonwealth Clash. Virginia Tech’s Nuclear Science and Engineering Lab and the U.S. Naval Academy’s nuclear engineering program have joined in a research and educational partnership. A team of researchers led by Virginia Tech has used chemical micropatterns to control the growth of frost caused by condensation. The Flint Water Study Team will review efforts to confirm the high lead levels in Flint’s water. Beverly Bunch-Lyons vividly recalls her grandmother’s funeral in Raleigh, North Carolina. At age five, it was her first experience with death. The third phase of Virginia Tech’s FutureHAUS, a just-completed bathroom, was showcased this week in Las Vegas at North America’s premier industry event. Scientists at the Virginia Tech Carilion Research Institute have found a potential way to influence long-term memory formation in the immune system. Because the tires on your car are its point of contact with the road, they can provide useful safety information like how fast you’re driving and whether the road is slippery. The latest episode of Virginia Tech’s Save Our Towns program profiles Saltville’s prized paleontological finds. With more than 1.4 million head of cattle across the commonwealth, Virginia’s beef cattle industry is big business. Advocates of hydroelectric dams on the Amazon, Congo, and Mekong rivers often overestimate economic benefits and underestimate effects on biodiversity. Virginia Tech will pay new coach Justin Fuente and his staff $6.715 million in 2016, an increase of $427,125 over what outgoing coach Frank Beamer’s staff was paid. Virginia Tech faculty members and graduate students will get to present their remote sensing research to scientists from across the world. New Georgia football coach Kirby Smart announced the addition of former Virginia Tech associate head coach Shane Beamer to his staff on Tuesday. New Virginia Tech football coach Justin Fuente has added his former Memphis defensive coordinator to his staff in Blacksburg. Last January, Virginia had to rally from 10 points down in the final 10 minutes to beat Virginia Tech in Blacksburg.